Happy Eostre…Or Is That Easter? Or Ostara? Hippy, hoppity, Eostre’s on its way! Or is that Easter? Or Ostara? To be honest, it’s really hard to tell the difference. Nearly every Christian tradition associated with the celebration of Easter can be traced back to its Pagan roots. The connections are many and not particularly veiled. Ostara is celebrated on the spring equinox, when day and night are equal. Ostara is Latin for the ancient German spring goddess Eostre (for whom the Christian holiday of Easter is named.) The ancient Greeks called her Eos or Aurora. Ostara celebrates the balance of all things male and female, physical and spiritual, etc. Eggs – They are a symbol of fertility and new life which were decorated to honor the Goddess. 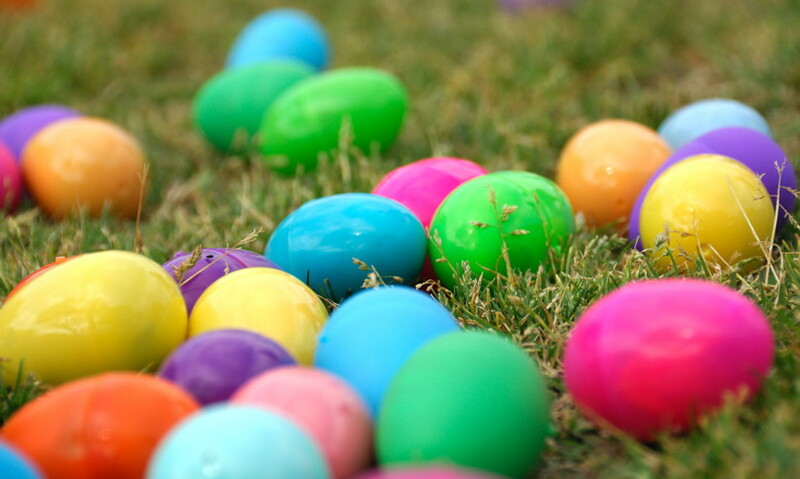 Almost all Pagan cultures gave brightly colored eggs to each other as gifts during this time. Eggs were also used in a number of rituals as well. Easter Lilies – Most Christian churches are decorated with white lilies on Easter Sunday to celebrate the resurrection of Christ. This tradition goes back to ancient Greece and Rome where they decorated Ostara altars and temples with lilies to honor the Goddess. Easter Bunny – Yep, even the Easter bunny goes way back! There is an Eostre legend of a rabbit who wanted to please the Goddess, laid sacred eggs in her honor (pretty impressive for a rabbit! ), decorated them, and presented them to her. Easter Clothes – German Pagans believed it was bad luck to wear spiring clothes before the celebration of Eostre. They worked on a new spring outfit in secret all winter long and unveiled it during this holy-day. Hot Cross Buns – Yes, even the hot cross bun was first created by Pagans as a representation of the Sun Wheel/Wheel of the Year. The ancient Greeks told the story of Persephone who went to he underworld to guide the spirits of the dead to their eternal rest. Meanwhile, her mother, Demeter, put her life on hold and waited for her daughter to return. During this time, grain and other plants did not grow and the weather was cold. When Persephone returned, the earth came alive again. In addition to the Persephone legend, most spring equinox myths are about Deities who visit the Underworld, where they struggled to return back to earth. When they emerged triumphant, new life appeared. I believe the reason why there are so many connections is because these ancient celebrations were so much a part of the cultures they came from that Christians had to join the party. Therefore, they set their own story of resurrection and new life at the same time as these other spring celebrations. It only makes sense and is the pattern of the early Church as they wrestled with Pagan culture and traditions. I like to think that Christians “borrowed” instead of “stole” these rituals because they were rich with meaning and easily fit the theology of the Christian church with a few little tweaks. This entry was posted in Easter, Ostara and tagged Spirituality, Wicca. Bookmark the permalink. 9 Responses to Happy Eostre…Or Is That Easter? Or Ostara? Excellent article about Ostara symbolism. Have you ever read the evangelical stuff about how Easter is really a “satanic rite to Ishtar”? It’s a rather strange series of claims going back to a fellow named Alexander Hislop in the 1800s. It’s fascinating because the people who support this idea are correct that Easter has Pagan origins, but they’re completely wrong as to HOW it is Pagan, and they make up some really crazy stuff to “support” their claims. Oh well; Happy Ostara! I have never come across that before. That is pretty crazy. I have never understood some evangelicals obsession with the devil. You think they’d spend more time talking about Jesus. Happy Ostara to you as well! I thought eggs came from the early church. After Christ rose, an egg was used instead of lamb bone or shank to symbolize eternity in Seder meal. A lamb could no longer be appropriate because the Lamb of G-d had made the perfect sacrifice and had risen. Most of the Church tends to forget…Jesus is Jewish. Thanks! Nope. The egg was always on the Seder plate. It was a part of the Jewish ceremony long before Christianity was established. The egg is also an ancient fertility symbol in many cultures for obvious reasons. It is a symbol of mourning. The shankbone is still on the Seder plate as well. Thanks for the good info! I just think Euro pagans shouldn’t be credited for parallel or pre-dating traditions concerning either Passover or Easter. Take care. For me, it’s not that I’m giving them credit. It’s an appreciation for the roots of many rituals and celebrations of the Christian community. The Church made them uniquely theirs which is what I think you’re trying to say. Blessings! I am also doing some further research on the subject because, apparently, there is a lot of misinformation around as well. I will eventually rewrite this post so I appreciate your input. Right now author Adrian Bott’s work is on my radar screen!